Two soldiers have been killed and four others injured in a car bomb attack on a military convoy in south-eastern Turkey, Turkish officials say. The explosion late on July 25 happened in the town of Lice in Diyarbakir, the province governor’s office said. The attack came after Turkey bombed Kurdish separatist camps in northern Iraq – the first such strikes since a peace process began in 2012. No group has claimed responsibility for the latest attack. The Kurdish Workers Party (PKK) threatened to break off a two-year ceasefire following Saturday’s raids. There has been a wave of unrest after a suicide bomb in Suruc, blamed on so-called ISIS killed 32 people – mainly university students planning to carry out aid work in Kobane, Syria. It has included protests and confrontations with police in Ankara and Istanbul. 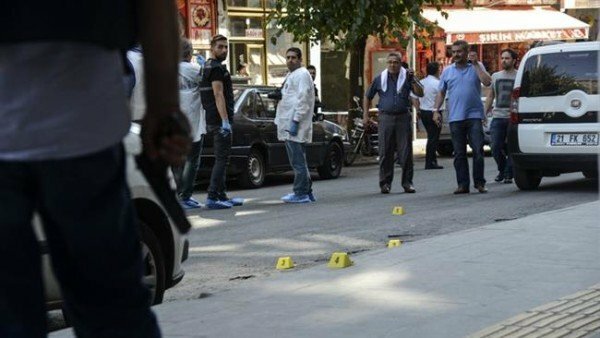 The PKK’s military wing killed two Turkish police officers on July 22, claiming they had collaborated with ISIS in the bombing in Suruc. The US has called on both sides to avoid violence, but stressed that Turkey has the right to defend itself against attacks by Kurdish rebels. The Turkish government has failed to stop ISIS, seeing the group as a useful tool against its Kurdish enemy, the PKK. Sporadic attacks including one on a police station in Istanbul have raised the specter of a return to conflict between the Turkish state and Kurdish separatists that blighted the country for 30 years and killed 40,000 people.